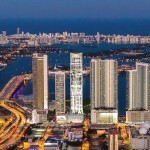 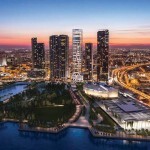 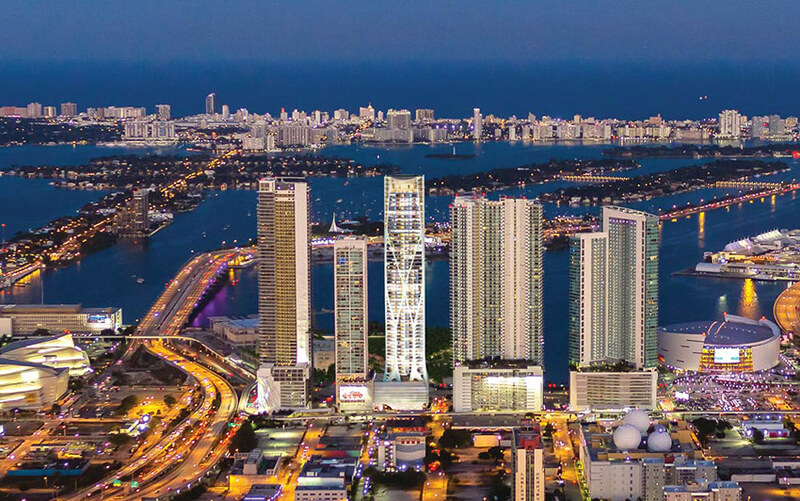 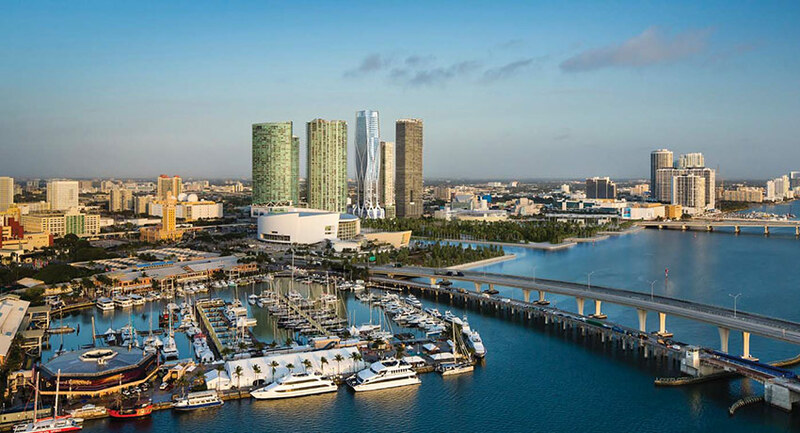 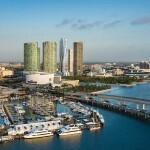 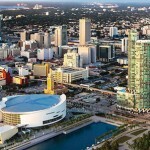 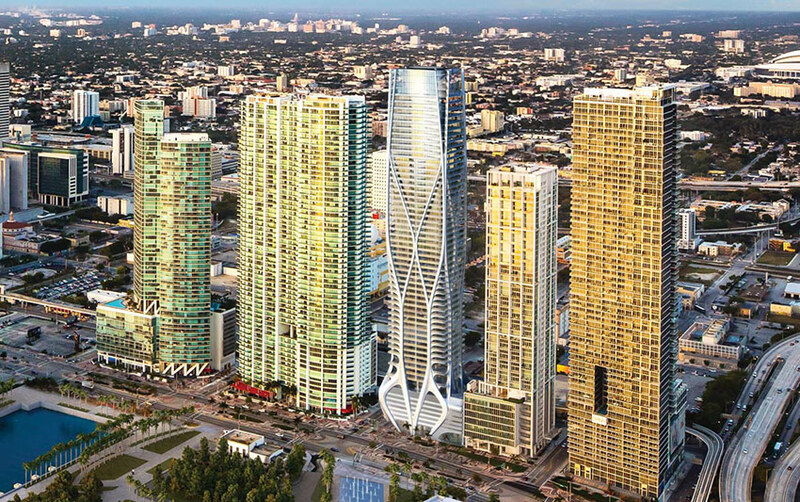 Miami’s development scene has been heating up in the past year with starchitects lining up for a chance to build in the Magic City. 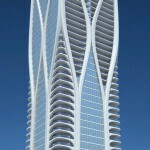 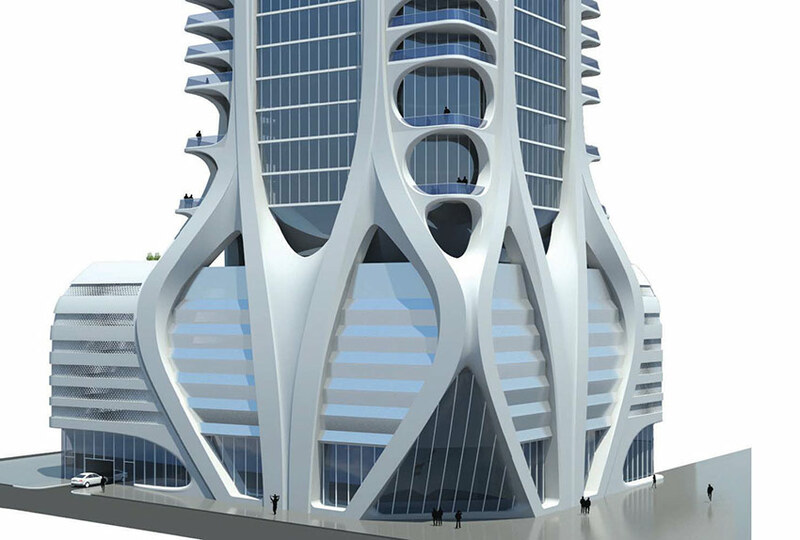 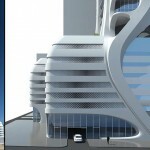 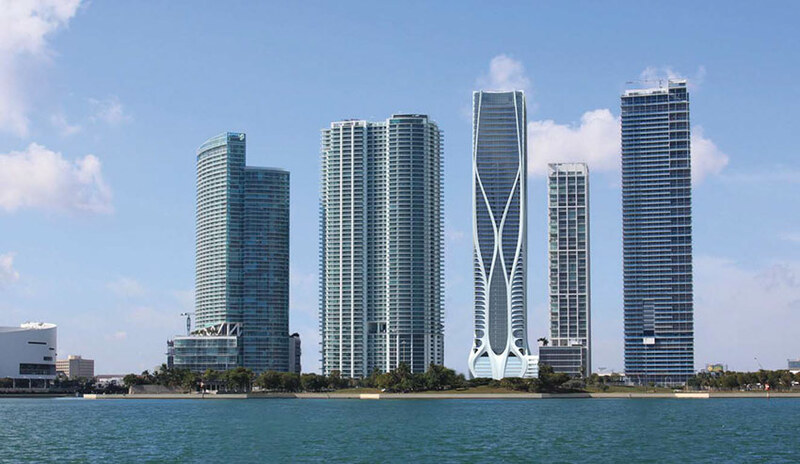 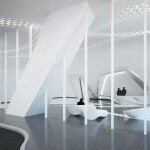 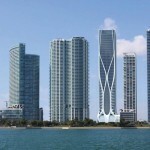 Zaha Hadid has been equally as hot with several irons in the fire since the last series of renderings for her first U.S. skyscraper, the residential One Thousand Museum tower on the city’s waterfront, were unveiled in April. 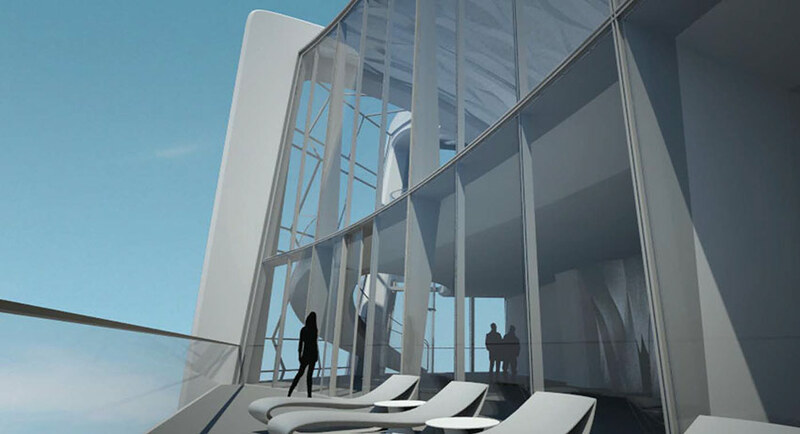 Along with designing a stadium for the 2022 World Cup and the New National Stadium in Japan, she managed to find time to make plans for the already dramatic tower even more extraordinary. 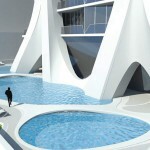 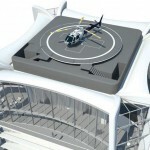 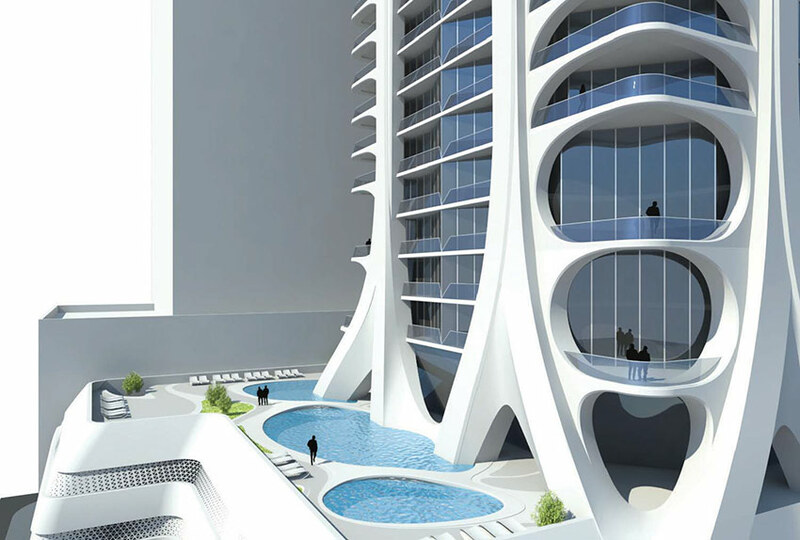 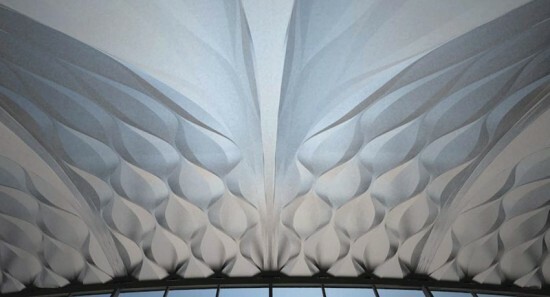 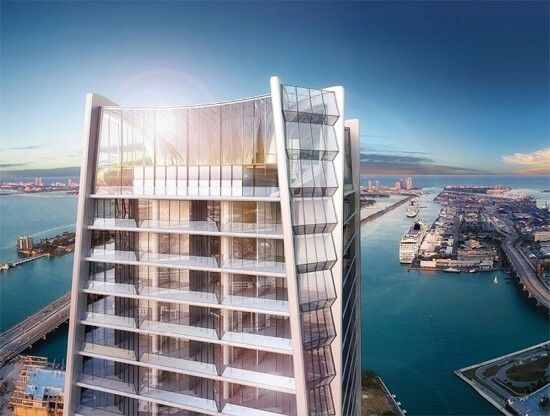 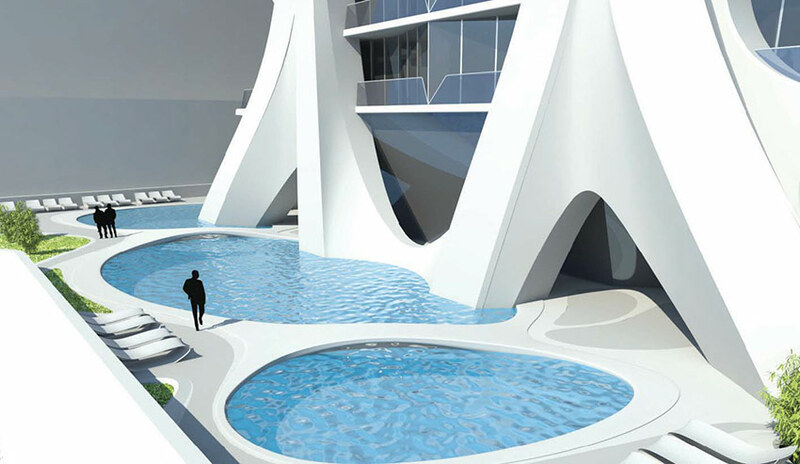 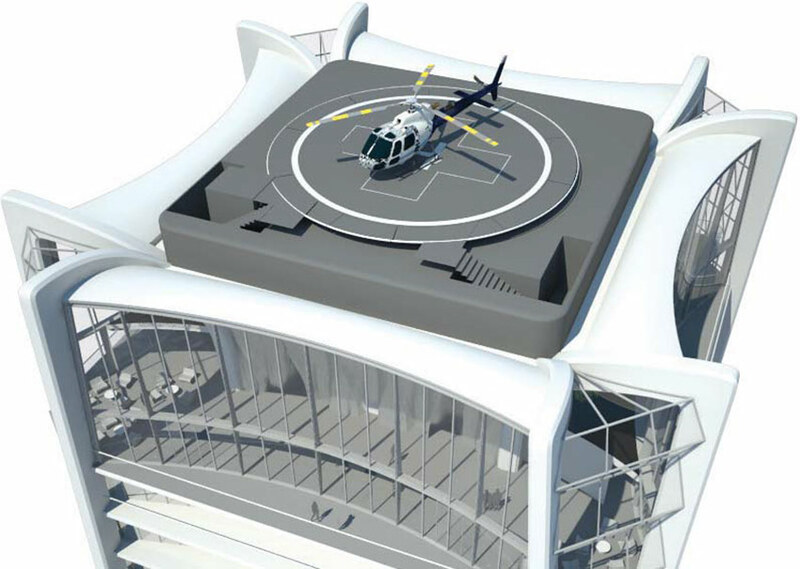 New details have recently surfaced on the project’s website about the fanciful sculptural structure, detailing the building’s sky lounge, aquatic center, and curvy-furniture-stocked lobby, not to mention Miami’s first private helipad placed on a residential complex. 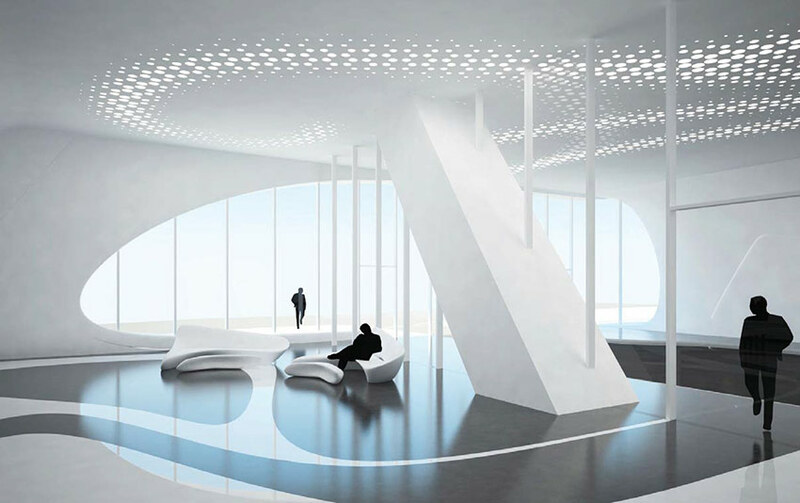 Based on earlier renderings, we already knew about many of the building’s ultra-luxe amenities, but these newly refined views offer a more refined glimpse of the impressive Aquatic Center and Sky Lounge situated more than 600 feet above the sidewalk on the tower’s 60th and 61st floors. Envisaged as a luxurious retreat hovering above the urban environment, the double height space presents stunning panoramic views over Biscayne Bay, the Atlantic Ocean, and the Miami skyline. 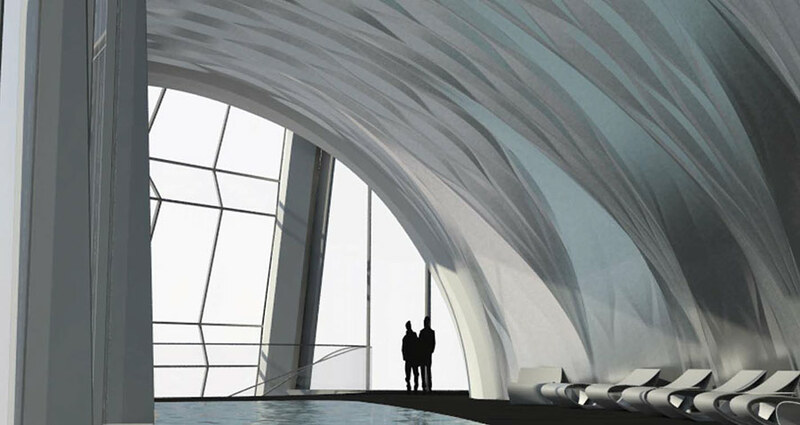 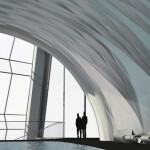 Sculptural domed walls evocative of water drops and a double-height glass facade encloses the infinity-edge indoor pool. 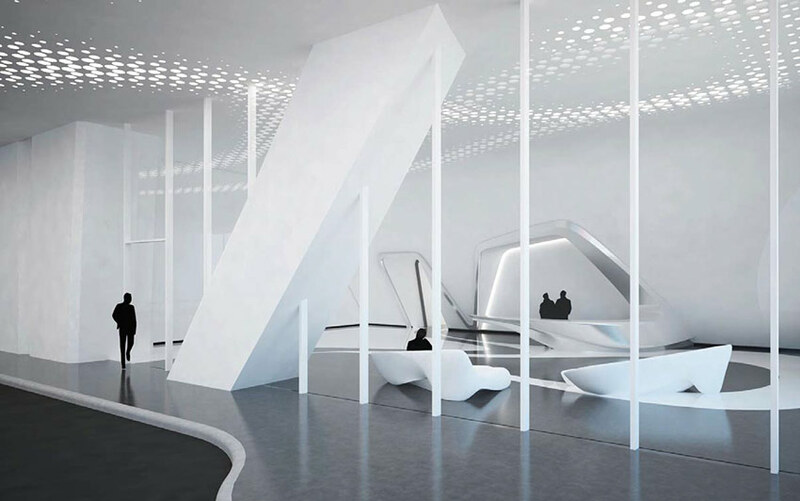 By day the space is bathed with natural light and by night is immersed in the city’s glow refracting off its sculptural form. 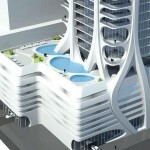 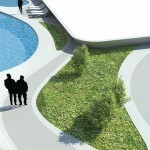 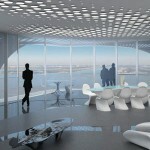 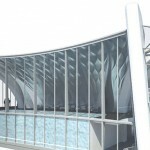 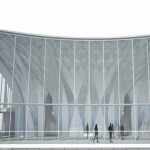 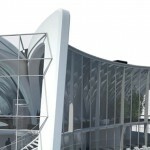 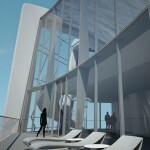 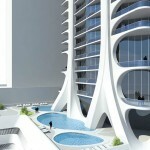 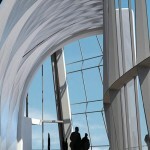 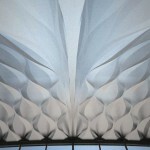 The new renderings reveal folded glass components at each corner on the top levels that appear as delicately cut jewels. 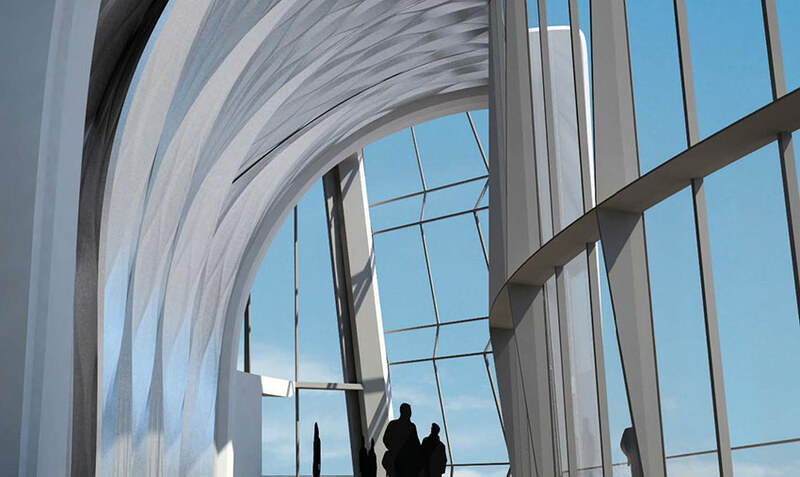 At the tower’s ground level within the podium-like pedestal, the porte-cochère offers privacy from the city streets and a distinguished arrival in line with the cachet of One Thousand Museum. 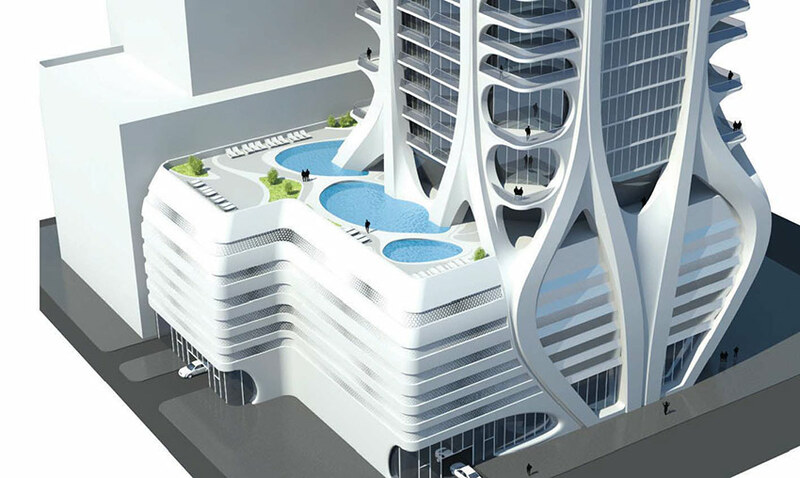 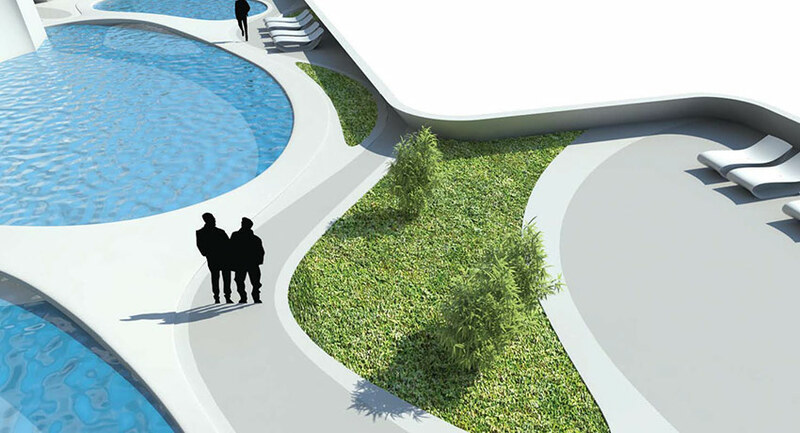 A multi-level wellness and spa center sits atop the porte-cochère and looks over recreational pools and a terrace space pierced by the tower’s curved exoskeleton beams. 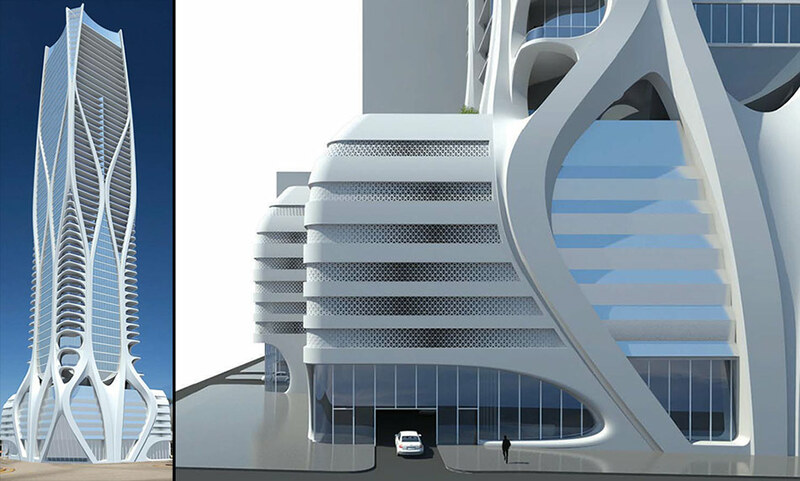 Construction is set to begin in 2014. 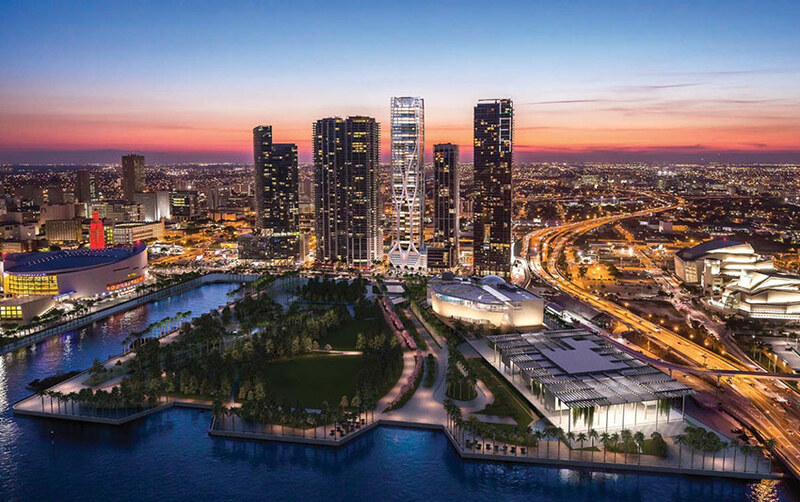 All renderings courtesy One Thousand Museum.